FANBOY PLANET.com . : mc-kevinhopps :. Kevin Hopps has worked in the animated realm for nearly two decades, amassing a lengthy list of writing credits that ranges from "Darkwing Duck," "Buzz Lightyear of Star Command" and "Loonatics Unleashed" to the "Justice League," "Hellboy: Blood & Iron" and "Transformers: Animated." 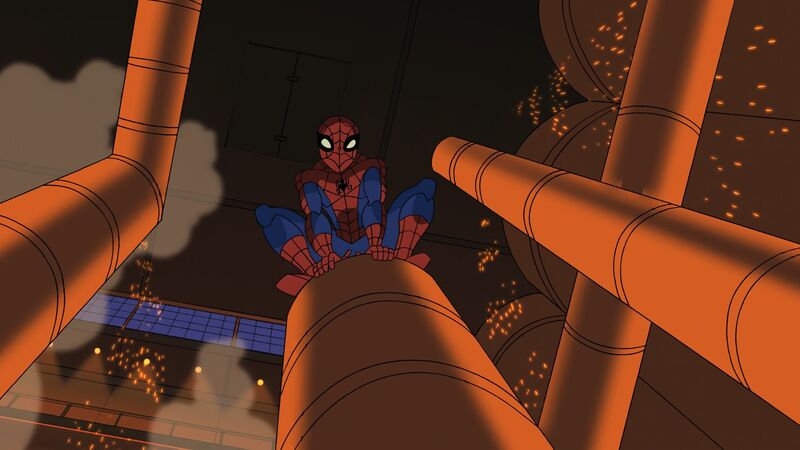 He has drafted four scripts for the first season of "The Spectacular Spider-Man" – "Interactions" featuring the debut of Electro; "Competition," which introduced Sandman; "The Uncertainty Principle," the Green Goblin's second starring role; and the series' first season finale. Hopps took time away from his work on several second-season scripts to discuss his work in the first season and, in particular, this weekend's "The Uncertainty Principle." Gary Miereanu: "The Uncertainty Principle" is the third episode you've written this season. Does it get easier as the season progresses, or more complicated as the "web" continues to grow? Kevin Hopps: It gets easier now that I've seen some of the episodes animated and heard the characters' voices, but new characters and new plot lines always bring new challenges. Fortunately, 'The Spectacular Spider-Man' is a spectacularly fun series to write for. 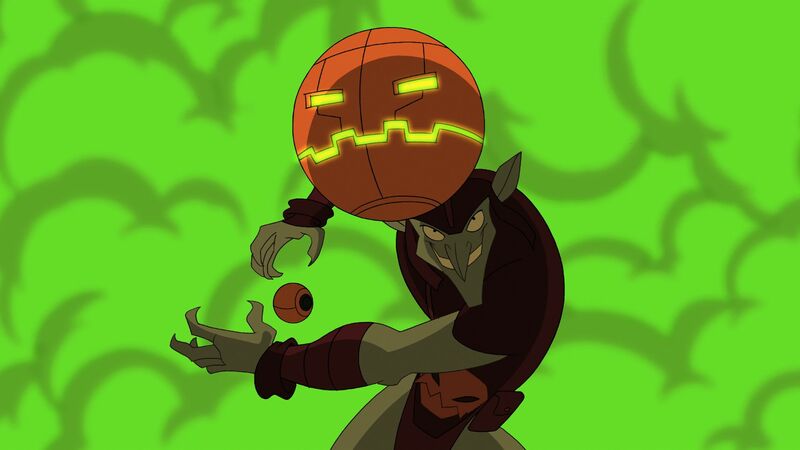 Gary Miereanu: Thus far this season, you've written for three villains -- Electro, Sandman, and now you get to expand upon Green Goblin. How did you approach each, and do you have a writing preference among the villains? Kevin Hopps: Before I began writing any of the villains, I re-read all the comics I could get my hands on that featured Electro, Sandman and Green Goblin. As to preference – I love all the villains I've been lucky enough to include in my scripts. They each bring something new to the series – their motivations are different and, therefore, they interact with Spider-Man is different in their own special ways. Does he throw his own head? I like the humanity of Electro – here's a person who didn't ask to be a villain, but found himself thrust into that role. I love the ordinary-ness of the motivation for Sandman – he's just basically a crook who suddenly finds himself with super powers. Then there's Goblin – you might consider him crazed, but he's truly brilliant and has thought things out far in advance. He's always several steps ahead of where you think he is. So while I'm writing Goblin, I'm always trying to keep in mind where he's going next. Gary Miereanu: You have a lengthy history of writing for comics/super hero animation. What's your personal satisfaction working in that realm? course, I like to think I'm able to add a good deal of humor to the action I write. It's fun to write a variety of characters, too – both in terms of jumping from show to show, and from heroes to villains. Spider-Man and Hellboy present that kind of variety. The key differences come in their age and their motivation – those factors help give them distinctly different personalities and attitudes. Even though he has all this teen angst, Spidey still really has fun with being a super hero, and he lets it show. Hellboy is older and more mature – he keeps his emotions more in check. I don't really have favorites, but I guess if I was creating a character of my own, it would probably be Spidey – between the character's comedy, action and humanity, he all the elements I like to write. We agree. Spider-Man is ideal. Gary Miereanu: Is there a super hero you haven't written for yet that you still wish to work on, and why? Kevin Hopps: To paraphrase, and lay ruin to, a famous quote: I never met a super hero I wouldn't write. Spider-Man, however, is ideal since he combines super hero heroics with teenage real-life problems (and a healthy dose of humor combined with action). As for super villains, well, after the Green Goblin, I'm writing another classic Spidey villain – but I guess you'll just have to keep watching to find out who that is. Gary Miereanu: Is there another genre that you would like to explore? Kevin Hopps: I never know what next is in store. I've done a lot of comedy and even a fair amount of pre-school programs. They all flex different writing muscles. And I love combining the comedy and action when I can. Even while writing one of the Hellboy animated movies, I was able to add a little comedy to the more adult-themed action. Oh, and one more thing: Hi Mom!